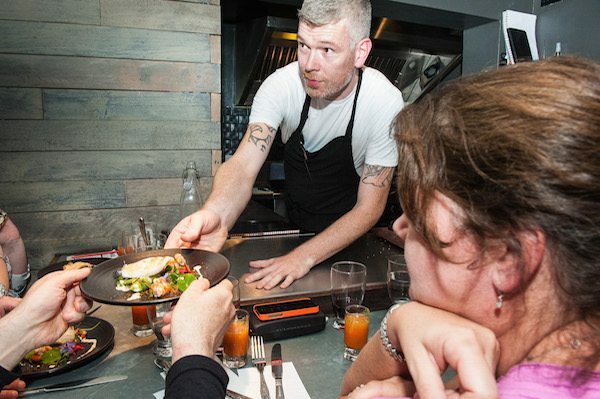 The Great British Menu is back – featuring a Brighton favourite! Great British Menu is soon to return to our screens and, with Michael Bremner of 64 Degrees representing Scotland, viewers in Brighton will have someone to cheer on. The annual competition pitches the country’s top chefs against each other in a series of regional heats with the top two chefs from each area progressing to the final. As with previous years the prize will be to cook a dish at the final banquet – this year taking place at the Houses of Parliament in honour of the Queen’s ninetieth Birthday. Great British Menu has built up something of a reputation over the years as being one of the premier cooking competitions on television. Previous winners and contestants read as a who’s who of British cookery with more Michelin stars on show than a Roux family get together. The chefs are required to produce four courses that celebrate British produce and also adhere to a theme. This year the theme is “Great Britons” so expect dishes inspired by Shakespeare, Isambard Kingdom Brunel, Michael Faraday and Keith Chegwin (perhaps not). In order to produce incredible dishes that also fit the brief they often have to go above and beyond the usual standards in terms of plating and presentation. For those of you who are not already aware of Michael’s restaurant 64 Degrees where have you been? Since opening in late 2013 64 Degrees has taken the Brighton food scene by storm, not to mention garnering admiring glances from further afield. Awarded Michelin Bib Gourmand status in 2014 & 2015, Best Restaurant at the Brighton and Hove Food Awards and Brighton’s Best Restaurant awards they have also been ranked 24th in the National Restaurant Top 100 List. 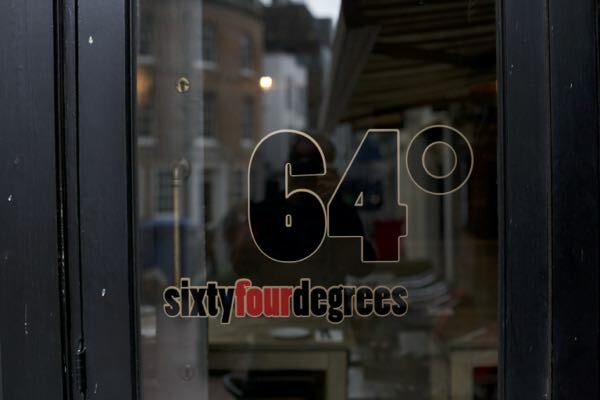 With their take on the ever popular small plate dining style, and an emphasis on quality produce and showcasing the skills of their staff, 64 is one of the not to be missed dining spots in the city. Having eaten there myself for the first time recently I can say hand on heart that the hype is absolutely to be believed. It will be very exciting to see how well Michael’s style will go down in the Great British Menu kitchens when the show hits our screens in late Summer. Given that it is a competition I thought we should take a look at who he will be coming up against so that we can start jeering them early. Adam Handling is a young chef who has already achieved much in his career. At just 27 years old most people will remember him as a finalist in Masterchef the Professionals in 2013. He has also been Scottish Young Chef of the Year, British Culinary Federation’s Chef of the Year 2014 and Scottish Chef of the Year in 2015. Adam has been head chef at “Restaurant Adam Handling at Caxton’s” in Westminster since 2014 which has been awarded three AA rosettes. The restaurant was awarded “Best Newcomer UK Restaurant 2015” in the Food and travel awards and been regarded as one of the top restaurants in Westminster. His latest venture is the first in a planned series of openings called Frog in Ely’s Yard in Spitalfields. This will be a much more relaxed dining experience with an organic bar attached. 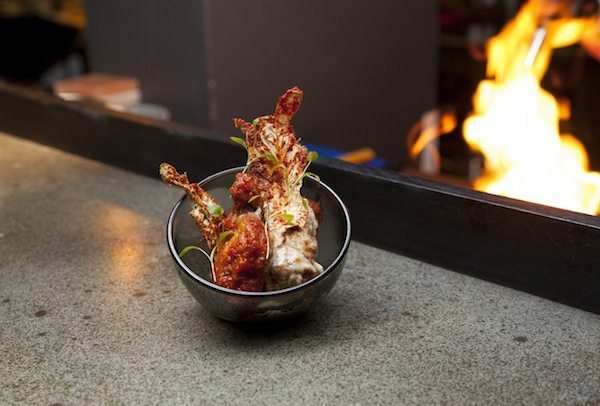 Adam’s food is inspired by Asian flavours and techniques – particularly Japanese – and combines top quality seasonal ingredients with meticulous preparation to create wonderfully complex and flavoursome dishes. Ally McGrath is the only chef of the three who still works and lives in Scotland. Ally has been head chef at Osso in Peebles since December 2007 and took over the restaurant alongside wife Helen in March 2014. The restaurant, which is a coffee shop by day and transforms into a sophisticated restaurant in the evening, has been awarded a bib gourmand for the past six years by the Michelin inspectors. They pride themselves in creating a simple yet elegant menu that changes regularly with the seasons and yet is extremely affordable. Should Michael be able to navigate his way past his local rivals his dishes will then be placed in front of the regular Great British Menu judges Prue Leith, Matthew Fort and Oliver Peyton. Here the top two chefs from each region will go head to head to have in the hope that one of their dishes is chosen to make the final banquet. Known for their uncompromising standards the main panel has remained the same since the first competition back in 2006. In this time they have put the country’s top chefs under scrutiny and decided on the final menu for a number of banquets celebrating everything from British service personnel through to Comic Relief. So who are these experts and what are their credentials? 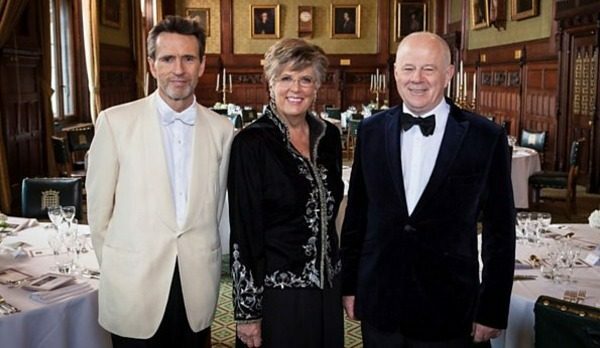 Prue Leith is a restauranteur, professional chef and caterer who has possibly one of the most recognisable names in the business. Having opened Michelin starred restaurant Leith’s in the 60’s and the careering company Leith’s Good Food, Prue’s career spans many decades. Prue has also been a food columnist for the Daily Mail, Sunday Express, Guardian and Mirror and written 12 cookbooks. As well as being a judge on the show Prue is also the patron of a training restaurant and college in South Africa. Matthew Fort is a widely renowned food writer and critic who has been awarded both food writer of the year and Restaurant writer of the year in 1992 and 1993 respectively. The author of several books Matthew has also won The Restauranteurs Association Food Writer of the Year. He has been the food and drink editor at the Guardian newspaper for over ten years and presented several food programs on television. Oliver Peyton is a highly regarded restauranteur who, as founder and chairman of Peyton and Byrne, owns several restaurants, cafes and bakeries across London and beyond. Oliver was awarded an OBE in 2012 for his services to the hospitality industry and is the author of two cookbooks. Oliver has been a driving force in the industry for over ten years and has built up a reputation as both a perfectionist and visionary. With such stiff competition and judging ahead I am sure you will join us in wishing Michael the best of luck in the weeks ahead.